I’m an expert at making a mile-long to-do list and not getting much done by the end of the day. I recently took stock of my responsibilities and the time I have in hand and realized I wasn’t utilizing my time properly. I ended up following a step by step approach that helped me streamline my day and make the best use of my time. 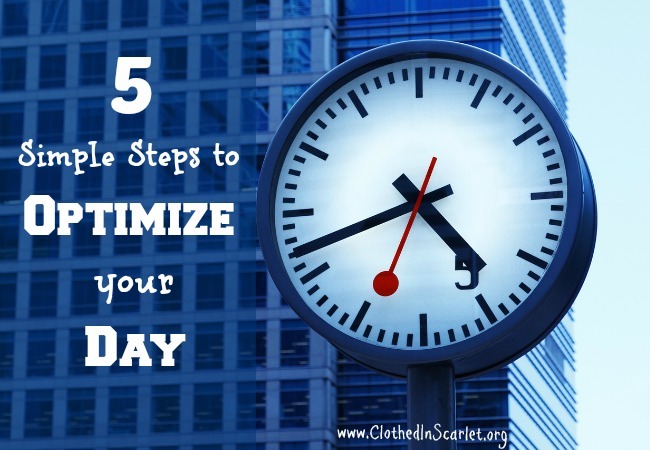 To read more about the strategy I followed that boosted my productivity and helped me work more efficiently, head on over to Clothed In Scarlet where I’m sharing 5 simple steps to optimize your day.